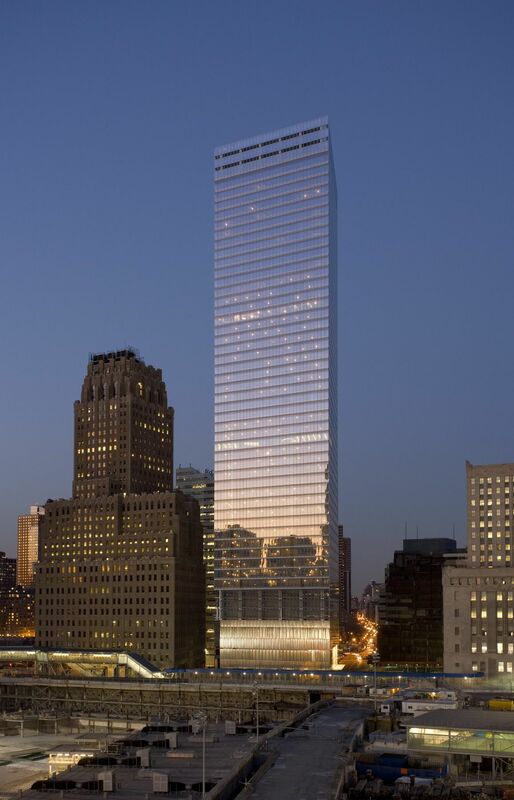 7 WORLD TRADE CENTER - Projects - James Carpenter Design Associates Inc. 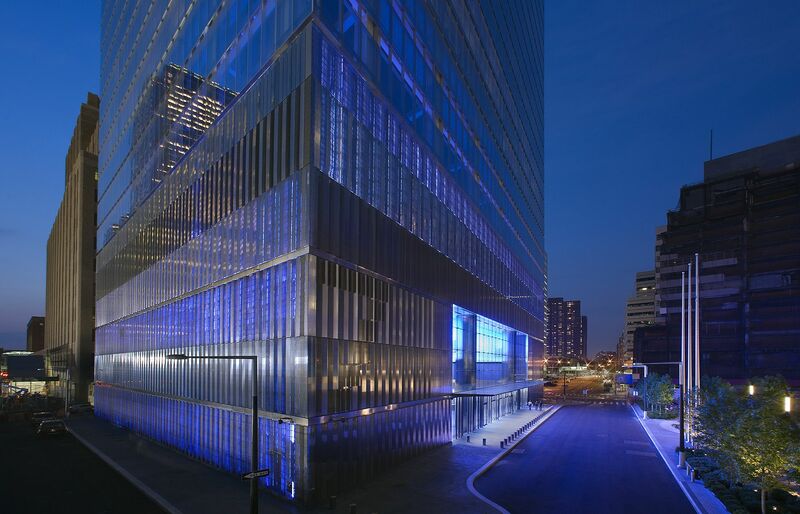 The 7 World Trade Center embodies the constantly changing atmospheric conditions with a volumetric sense of light. 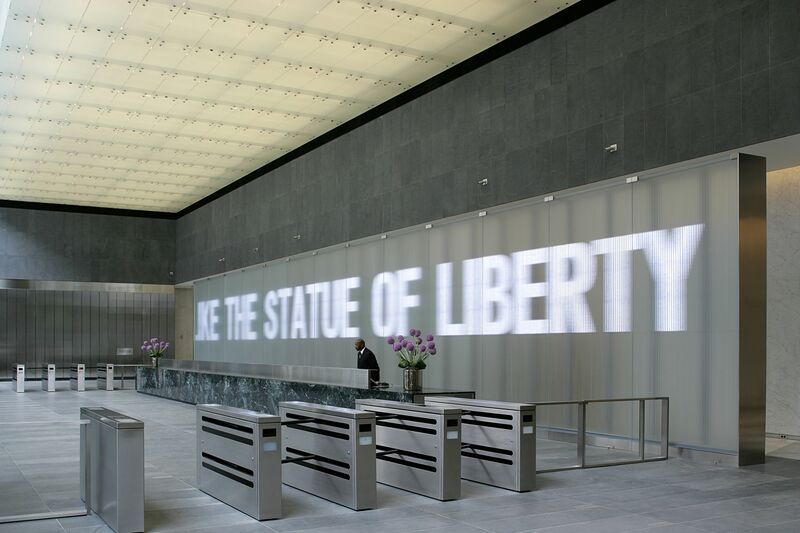 THE CONCEPT OF VOLUMETRIC LIGHT IS BROUGHT TO THE LOBBY THROUGH THIS COLLABORATION WITH JENNY HOTZER. Seven World Trade Center was the third building to collapse on September 11, 2001 and was the first building to be rebuilt. 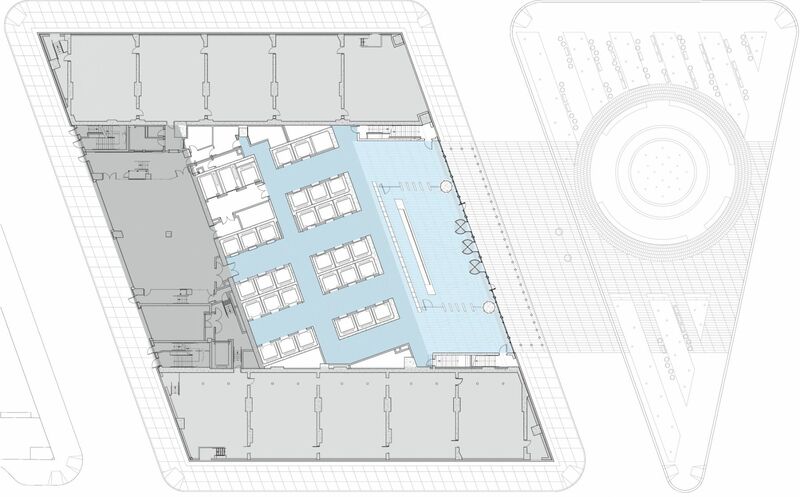 Designed by Skidmore, Owings & Merrill, the new building is comprised of 42 floors of office space that begin 125’ above grade due to the Con Edison transformers occupying large concrete vaults at street level. 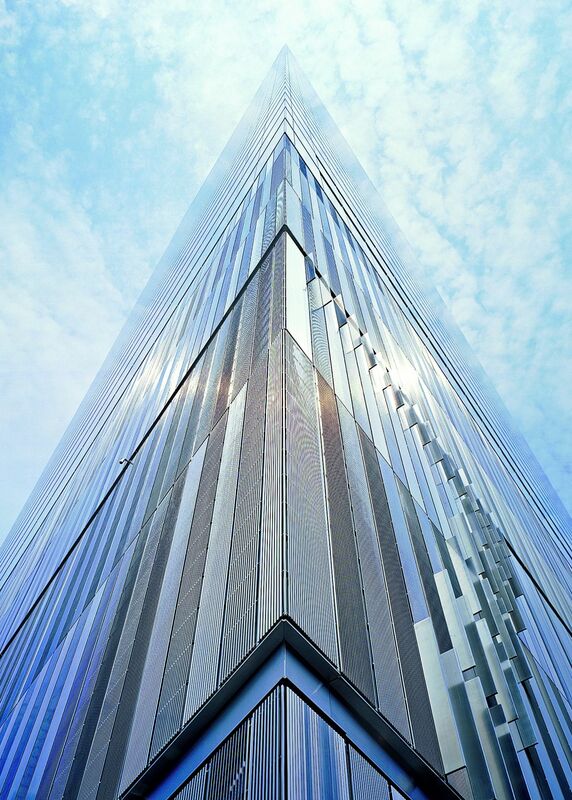 JCDA, was engaged by Silverstein Properties to work with Skidmore Owings and Merrill on the design of the exterior envelope, with a particular focus on the transformer vault cladding at the tower's base. For the 80 foot high podium wall, JCDA created a cladding system comprised of two layers of stainless steel screen with a 7 inch internal cavity meeting the Con Edison airflow requirements for the electrical transformers. 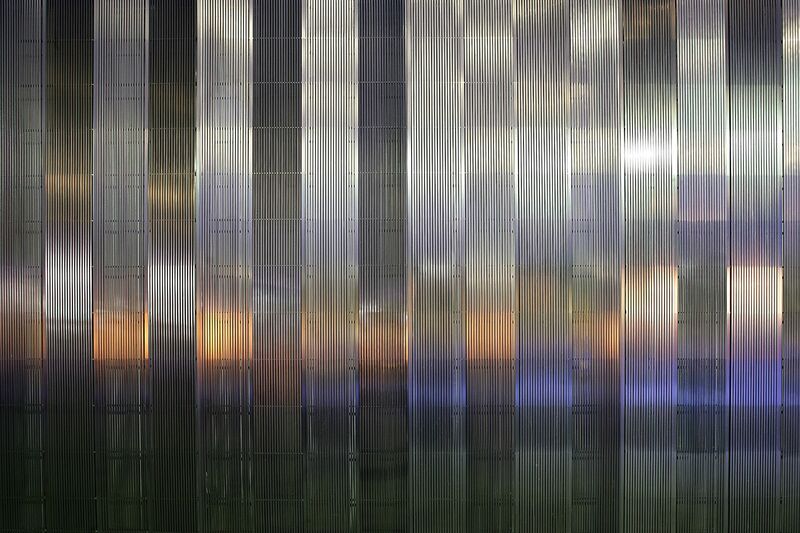 The stainless steel screen panels are made of triangular prismatic wires orientated vertically and welded in a specified pattern and angle rotation. During the day the outer layer of triangular wire reflects light according to the wires orientation. At night, LED lighting between the layers of screen are programmed to both respond to passing pedestrians and to mark the transition of dawn and dusk. Day and night the optimized porosity of the wall accentuates a luminous sense of depth. 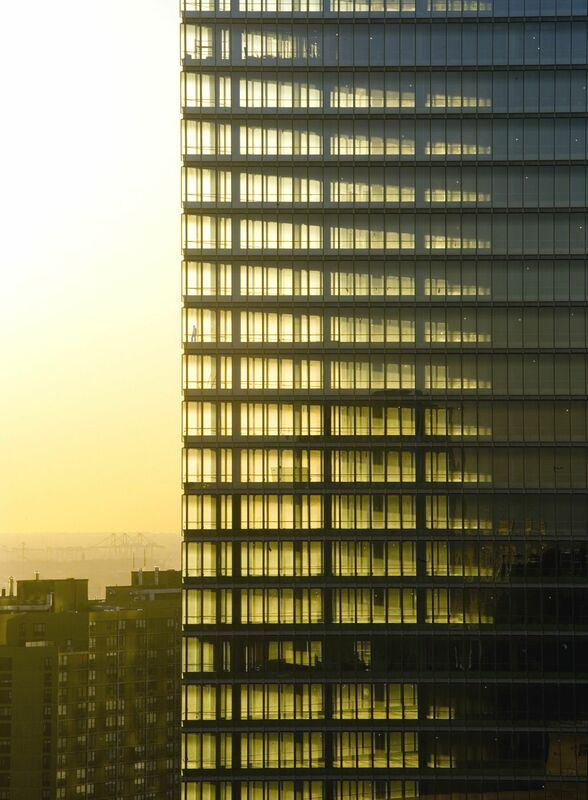 For the curtain wall, JCDA collaborated with SOM to create a unique ‘linear lap’ glazing detail in which the vision glass overlaps with and floats in front of a fire-rated spandrel clad with a pressed specular texture stainless steel spandrel panel. 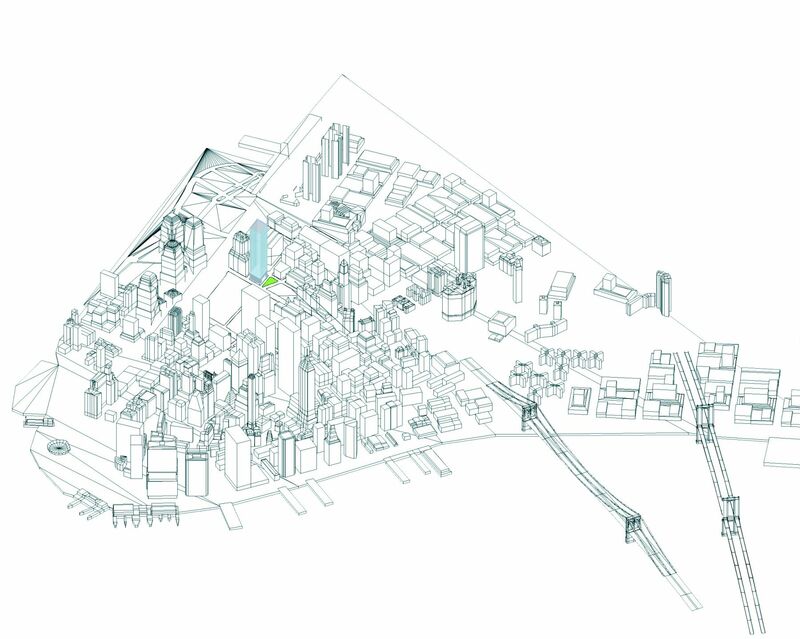 The sculpted depth of the spandrel panel and floating vision panel creates a volumetric sense of light and a multitude of readings within the building’s façade. The sill of the spandrel consists of a blue stainless steel reflector which bounces ambient blue light from the sky up onto the curved reflector. This continually shifting ephemeral color merging with the sky is captured in the façade and enhances urban dwellers’ experiential perception of light.